Anyone can dream while sleeping, and obviously, there are several times we experience nightmares. The disturbing dreams are vividly realistic and often rattle you awake from a deep sleep. You may find your body sweating and your heart pounding from fear. Do you know the underlying meanings of your terrified nightmares? 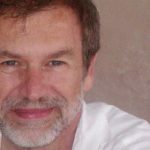 If understanding the ‘Nightmares and Their Meanings‘, you will gain a new perspective on your mental state, according to the studies of dreams. Nightmares tend to occur during rapid eye movement (REM) sleep, especially in the early morning hours. 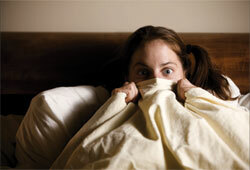 ‘Night terrors‘ typically occur during the first hours or two of sleep – loud screaming or thrashing is common. The dreamers find it hard to awaken and just remember an overwhelming feeling or a single scene. ‘Nightmares‘, on the other hand, occur after several hours of sleep – screaming or moving is uncommon. The dream is intense and elaborate, and the dreamers can realize that they just have had a dream. What Do Nightmares Want to Tell You? Falling – You have a fear of losing control. Everyone has gone through this nightmare; seeming like you are fallen, lost balance, or slipped when moving. This dream is caused by a shift in blood pressure as you fall into unconsciousness. A ‘falling’ nightmare means you’re worried and confused about something unclear. You feel like your life is out of control or a loss of emotional balance. Being chased – You feel unsure about yourself. Being chased in dream means you’re chasing a part of yourself deep inside. The modern interpretations suggest that this nightmare is a metaphor of insecurity: either yourself or your circumstances. Also, you are feeling threatened by your own worries or angry (jealous) toward someone or something. Tooth loss – You are truly worried. This dream has a very common theme possessing several possible meanings. Loosing teeth represents self-consciousness about either age or appearance, or it may indicate the fear of losing face. Those who grind their teeth or have sensitive teeth are more likely to experience this nightmare. In case you have a toothache and dream about losing teeth, it seems to be a ‘back-of-your-mind’ worry. Being lost – You feel a sense of being lost. The bad dream here occurs when you are uncertain of what you want or how to make a choice. Normally, you find yourself stand in a strange place and have no idea of how to get back to the familiar. You will have this nightmare when you start a new career, change another living place, or begin making friends with people. We recommend you to get deeper interpretation about nightmares to gain clear insights into your dream, especially the recurring nightmares. For additional details about the subject ‘Nightmares and Their Meanings‘ , don’t be afraid to let us know. We will leave the instant response if receiving your contributed ideas.